Cook tortellini to desired doneness as directed on package, adding carrots during last minute of cooking time. Drain; rinse with cold water. Drain well. Meanwhile, in large bowl, combine all remaining ingredients. 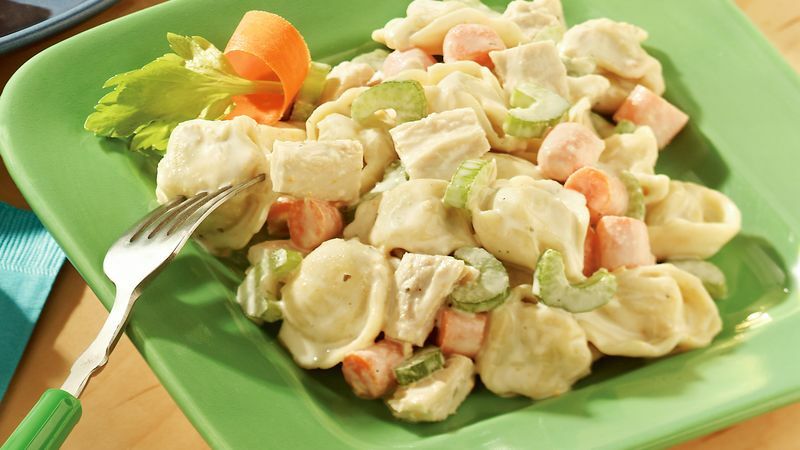 Add cooked tortellini and carrots; mix well. Serve immediately, or cover and refrigerate until serving time. If salad is packed in lunch bag, include ice pack to keep salad cold.